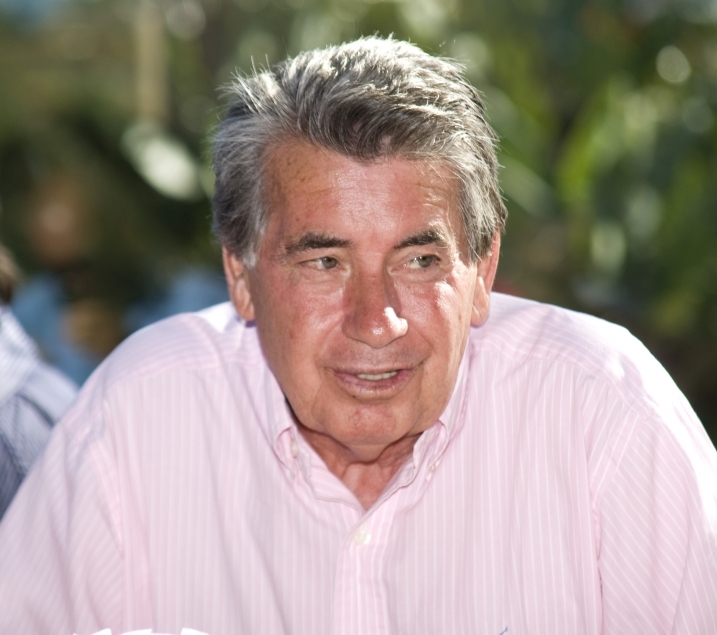 Manolo Santana:"Everything happens for a reason"
What does it take to get to the top like you did? Besides constant physical training and practice on the court you also have to train yourself mentally. The most important thing is desire. I had a big passion for tennis and determination to be the champion. Did you have an idol when you were young? Yes, actually I did - Sophia Loren. Just because of the stunning beauty! Who do you consider to be the rising stars in tennis at the moment? I would have to say Anabel Medina Garrigues and Carla Suárez Navarro. Do you have any favourites for the Andalucia Tennis Tournament? Not really, anyone who plays the best! How often do you play tennis now? What other hobbies do you have? I still play every single day! Besides tennis I also enjoy playing golf and football. I am a big fan of Real Madrid! Why did you move to Marbella? I came to Marbella for a year and I ended up stayed here for 28 years, so there must be something here. Besides the climate I enjoy most the residents of Marbella. They are really warm and nice people. Do you have any favourite places here? Yes, I really enjoy Marbella's Old Town. I go there rather often and visit the cafes and restaurants. I love it because of the people. How has Marbella changed over the years? Marbella has grown enormously. For example Puente Romano had only 2 tennis courts, but now they have 10, plus 4 paddle courts. And tennis is a good way to bring more people to Marbella. Also i-marbella.com is doing a great job at promoting Marbella. The most important thing is that you believe in this city. 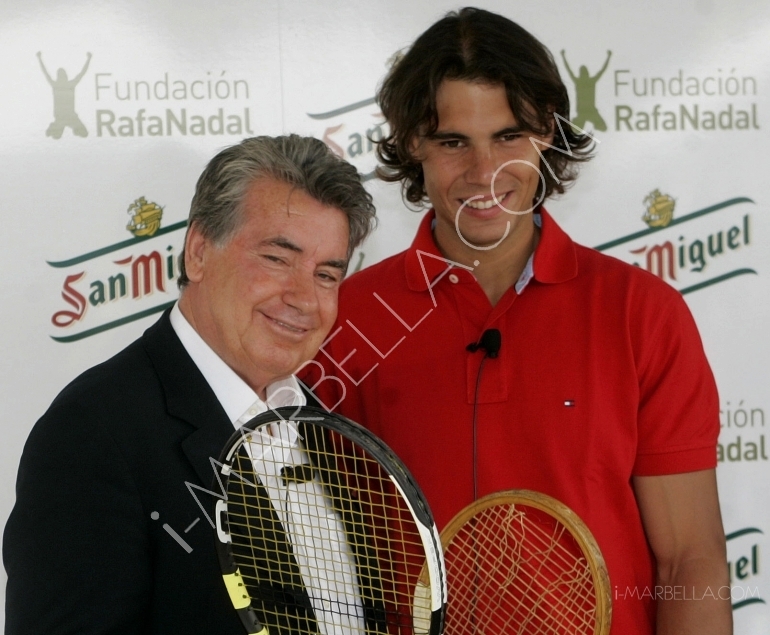 Rafael Nadal (R) and Manolo Santana exchange rackets at the Barcelona Open tennis tournament on April 21, 2009 in Barcelona. 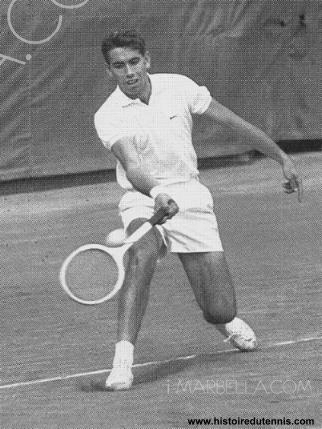 During winter I travelled a lot because of tennis - to Madrid, Rome, Paris, New York and London. But during the summer I will mostly stay at my home, Marbella. Since you have accomplished so much, what are your dreams and ambitions now? I still always think about the future. For example right now I'm managing the Madrid Masters, that takes place on 29 April until May 8. More than 60 players will participate and 10 million euros to be won! Everything happens for a reason! It's absolutely true. wow, he is really a celebrity!Seems like a very nice and warm person!